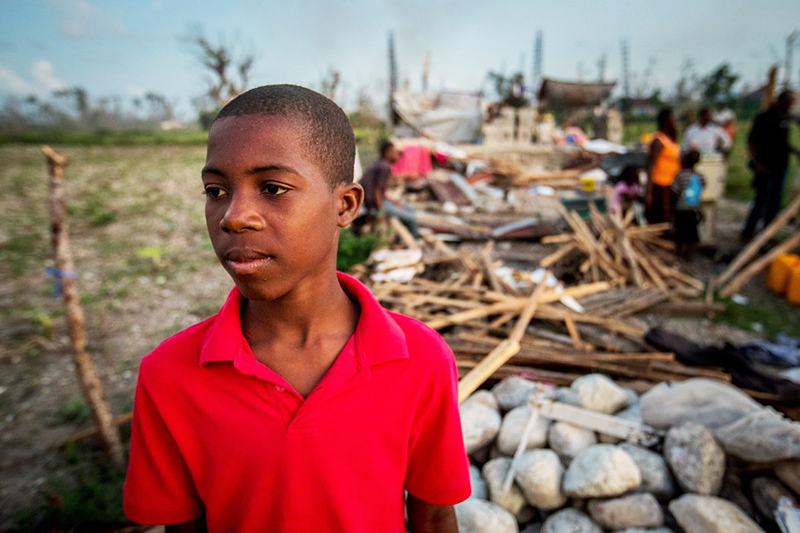 One month after Hurricane Matthew, the tiny island nation of Haiti continues to battle the widespread destruction which struck on Tuesday 4 October 2016. And the children in Compassion’s programs are no different. Here are stories of survival from five courageous children who lived through Hurricane Matthew. Angeline, 16, suffers from a degenerative bone disease and couldn’t run away the night that Hurricane Matthew hit. Fear struck her as she heard the wind and rain crash against her home. “I thought it was the end of the world,” she quietly shared. In that moment, she asked God what to do. Her sister came to her aid, helping her to the safety of her neighbour’s home. 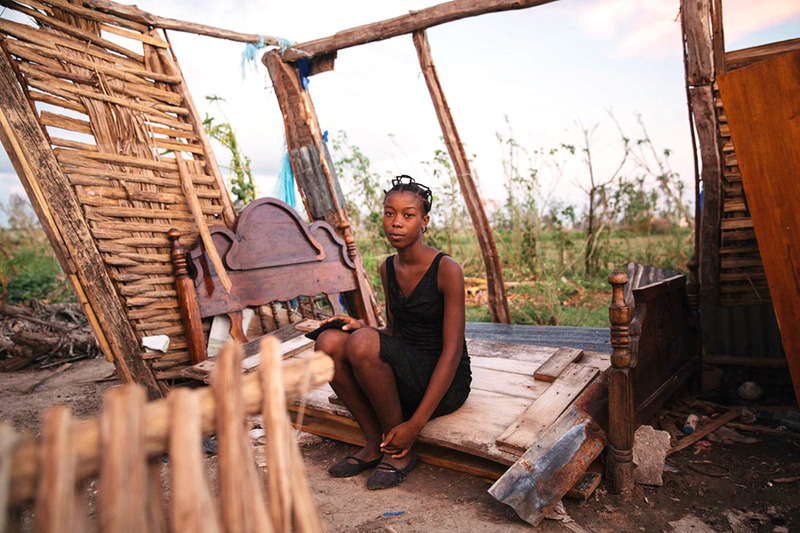 Although Angeline’s home was destroyed her family is safe. They’ve received a disaster kit with food, water and hygiene supplies thanks to one of our partner churches, Baptist Church of Picot. In the difficult months ahead, the church will support Angeline with post-trauma counselling. In the aftermath of Hurricane Matthew, John Dee returned to the place where his house once stood. Looking through what was left of his house, John cut his finger on a razor which was hidden in the rocks. His cut runs deep, yet it doesn’t stop him from continuing to look for his belongings. 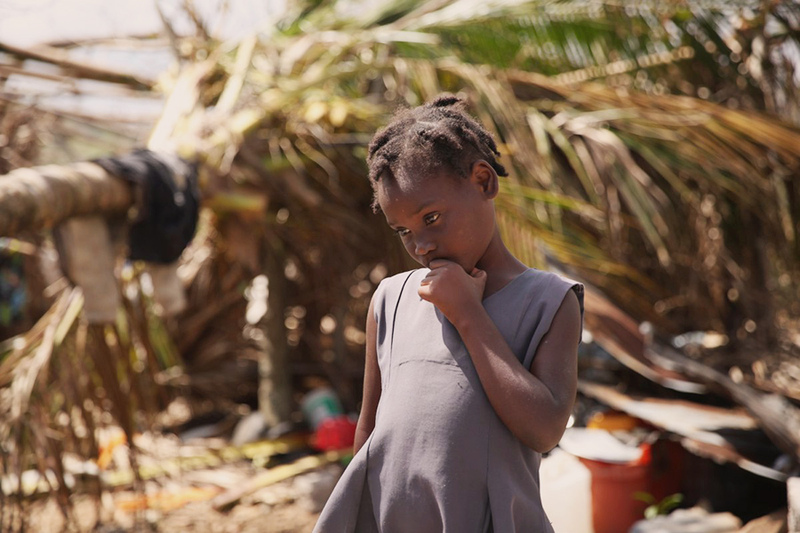 Her grandma’s words are all that Dorcy can remember from the night Hurricane Matthew tore through her community. “Wake up, wake up,” she urged Dorcy as she woke to her grandma frantically wrapping her arms around her to lift her to safety. 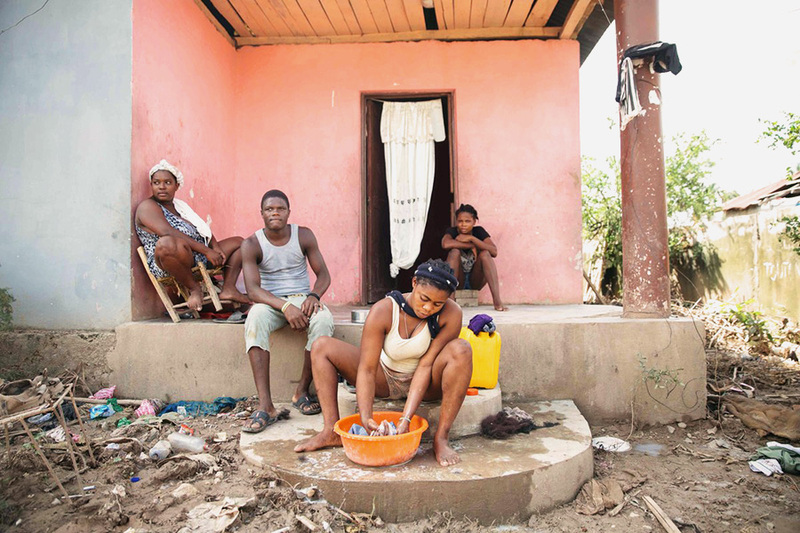 The hurricane destroyed the home they shared. Today, she stands in front of what used to be their kitchen. When the storm came, Paul Kelly Jeneus and his family of seven hid under their table praying it would protect them. The house eventually collapsed under the weight of the hurricane, leaving them trapped but Paul Kelly and all of his family walked away with only minor cuts and bruises. Flood waters triggered by Hurricane Matthew raged through Cassandra’s community. The water levels reached six feet high, forcing Cassandra’s family to flee to their rooftop where they were stranded for two days. Here Cassandra washes clothes they salvaged from the storm debris. Thanks to the generosity of Compassion donors, our church partners are supporting children like Angeline, Paul, Cassandra, John Dee and Dorcy. 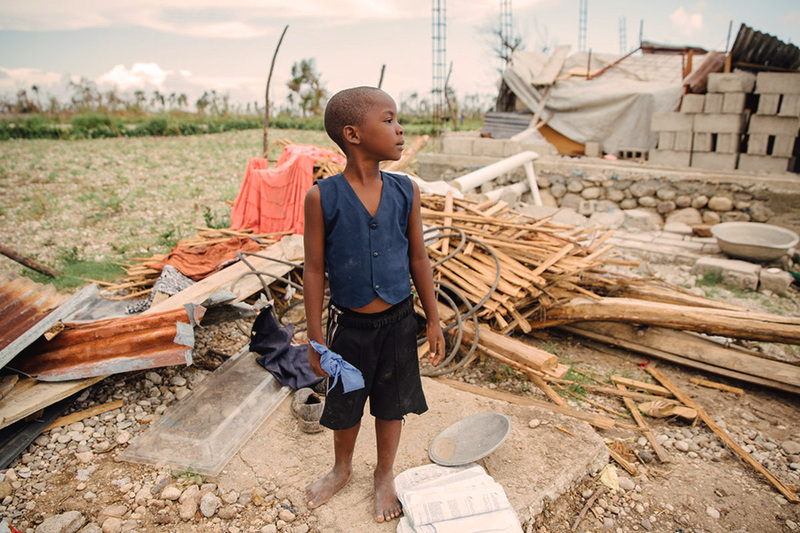 Since Hurricane Matthew struck, Compassion Haiti continues to address the immediate relief needs of Compassion beneficiaries and their families. Our staff and churches are beginning the second phase of relief, continuing to provide shelter and helping families rebuild and repair their homes. The need is still huge. Please give today to provide urgent relief for hurricane victims. When you contribute to the Hurricane Matthew Emergency Appeal, your generosity helps provide temporary shelter, food, medical assistance, clean water and provides funds for restoration and recovery. Despite the challenges, our church partners are exploring ways to resume project activities as soon as possible so they can help children with their psychological recovery and continue their schooling. For the relief and repair efforts taking place across the country. For all those who are mourning loved ones. The estimated death toll sits at more than 1,000. For protection against cholera. Pray for a reduction in new cases of the deadly disease.